Yesterday saw me at the Ritch Grissom Memorial Wetlands at Viera again. Heron activity was more restricted to the reeds, compared to last week, and there were fewer Wood Storks. I noted at least one Sandhill Crane nest mound being constructed and several species gathering nest material. 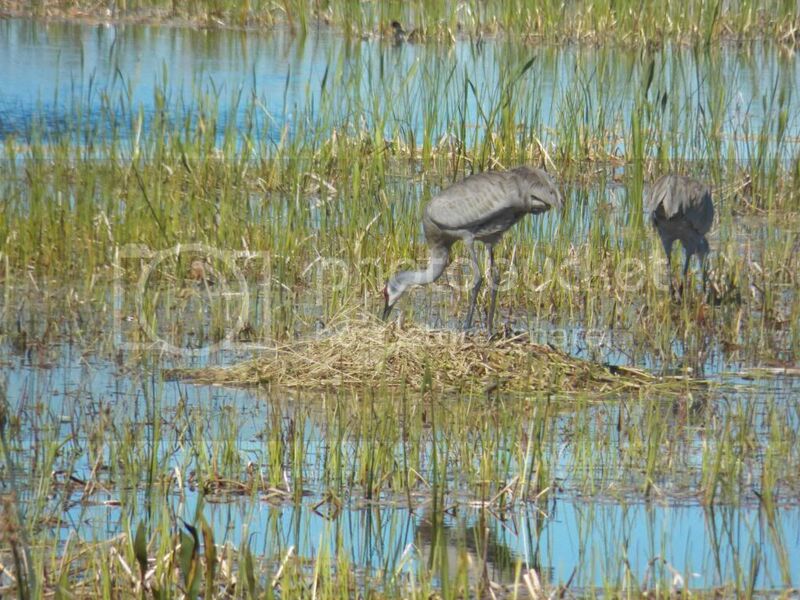 Sandhill Crane pair getting their nest in order. 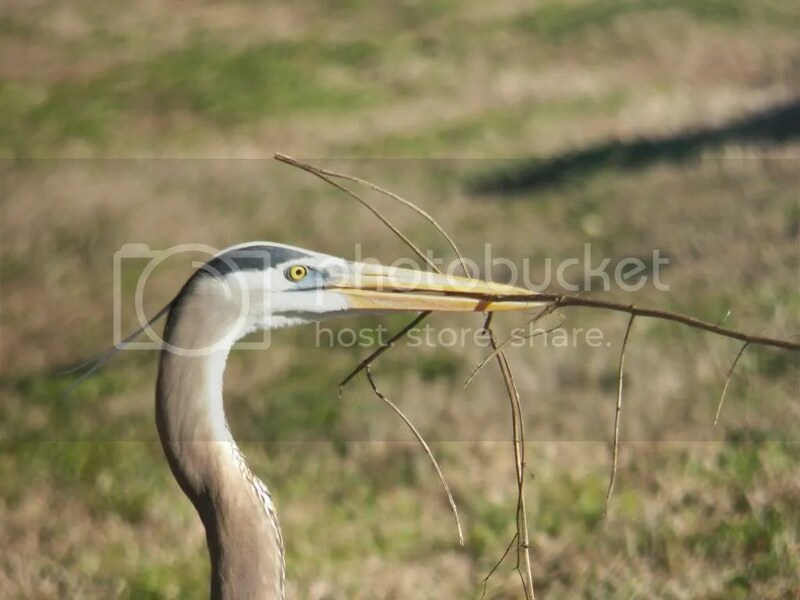 Great Blue Heron gathering sticks. I watched a Wilson’s Snipe forage through the reeds and water lettuce for a while. It’s usually pretty easy to flush this species out before you even see one, so it was a treat to get to watch this one for several minutes. There were at least a few dozen American White Pelicans on the ponds. On one pond, each bird was swimming more or less alone. Some are beginning to grow “horns” or “mortarboards” on their bills – a sign the breeding season is near. 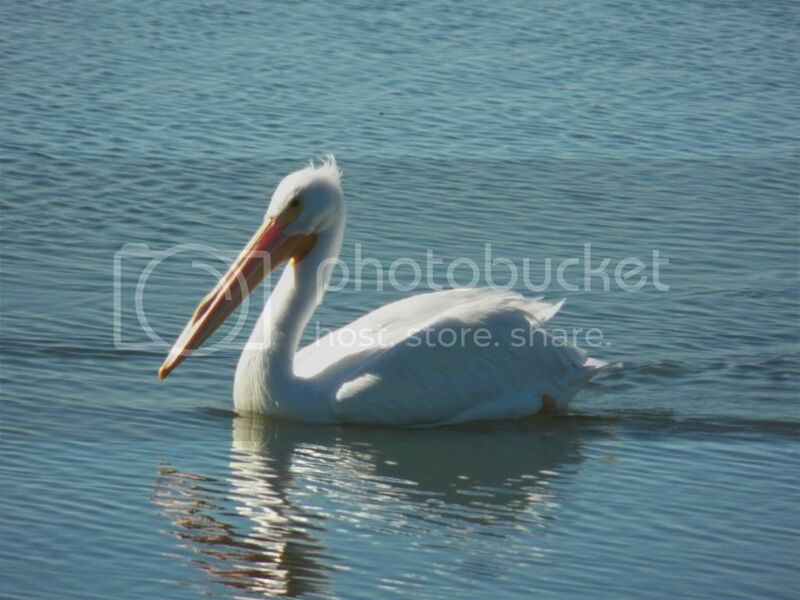 American White Pelican, gearing up for spring. On another pond, there was a close group swimming together. I caught them on video as they surged into the center of the pond to gobble up some fish that had evidently schooled there. American White Pelicans at Ritch Grissom Wetlands at Viera from CJSF on Vimeo. There were even fewer ducks than last week. The most numerous are now the Ring-necked Ducks, who were swimming more in their own groups rather than mingling with the American Coots (which were still there in the hundreds). 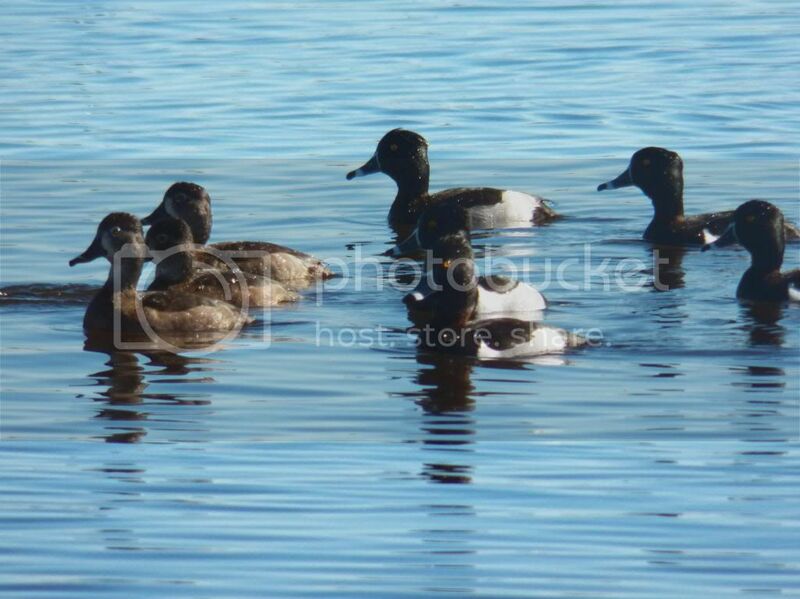 Some Ring-necked Ducks and Blue-winged Teals. 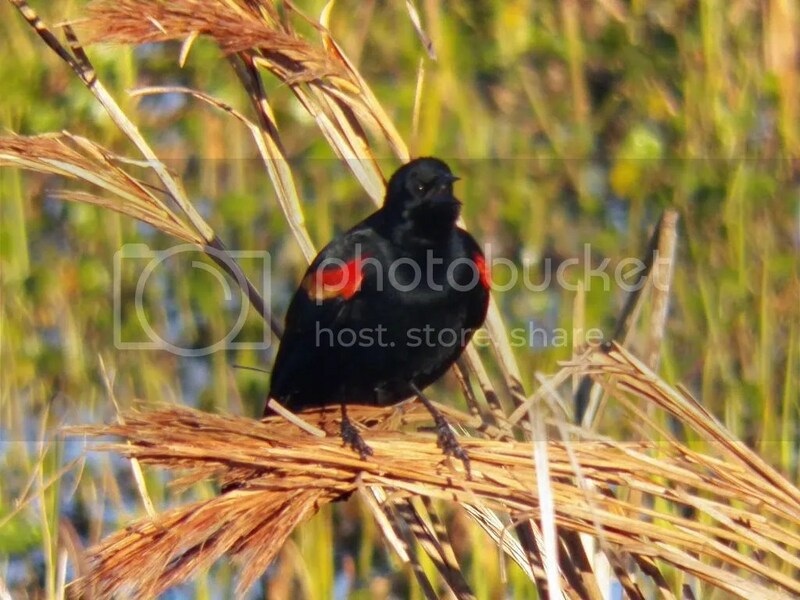 More evidence of Florida Spring would be found in the territorial calls and displays of the male blackbirds. Both the Red-winged Blackbirds and the Boat-tailed Grackles were calling out, chasing other males away and displaying their plumage to its best effect. Red-winged Blackbirds show off their brilliant red epaulets to attract mates and impress rivals. Boat-tailed Grackles rely on their irridescent feathers and loud calls and bill-snapping to stand out. I’ll post some more photos later this week. 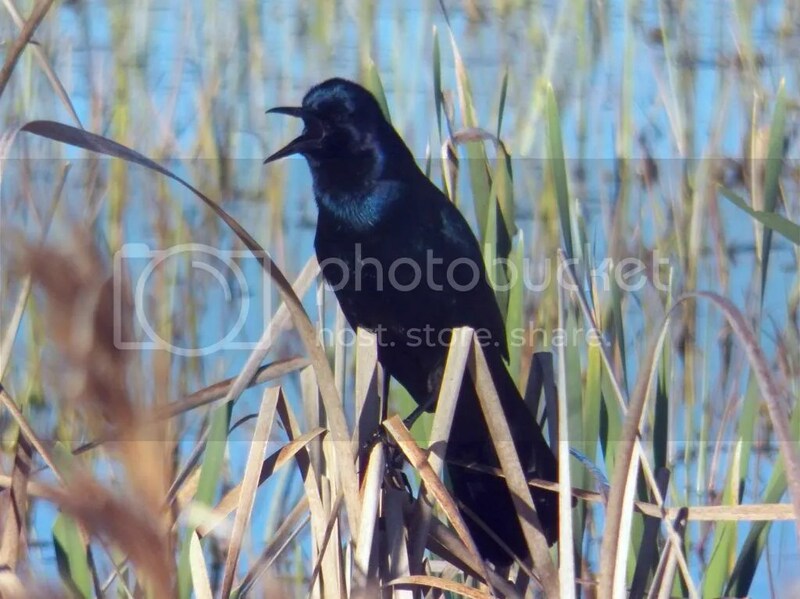 Posted on 2014 February 18 by Lonely BirderPosted in BirdingTagged Ritch Grissom Memorial Wetlands, spring, Viera.